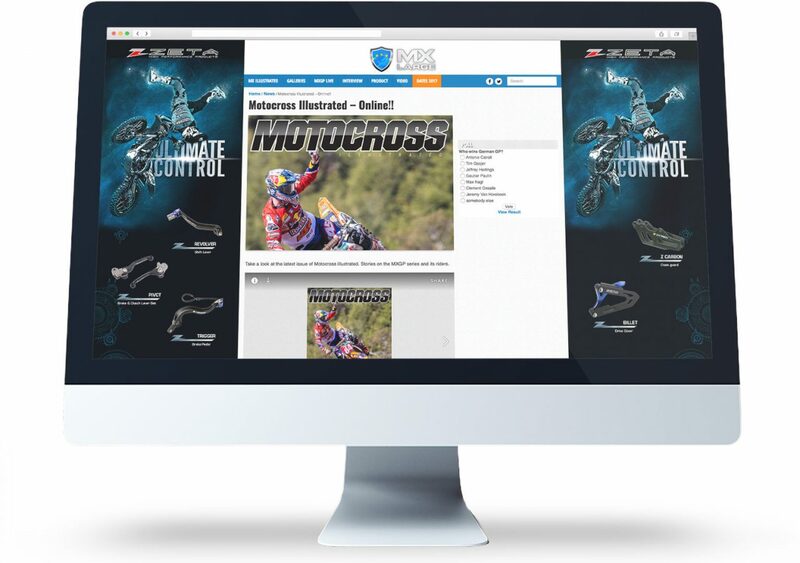 Zeta Racing is one of the MX dedicated brands distributed in the UK by Madison. 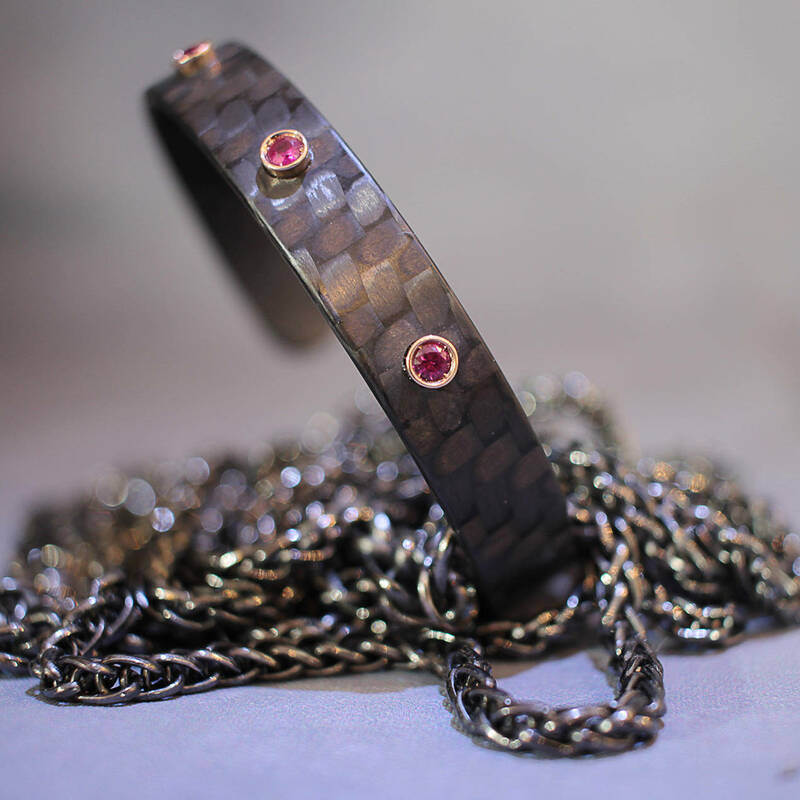 Since 1990 this Japanese brand developed its own name around its renowned manufacturing quality. 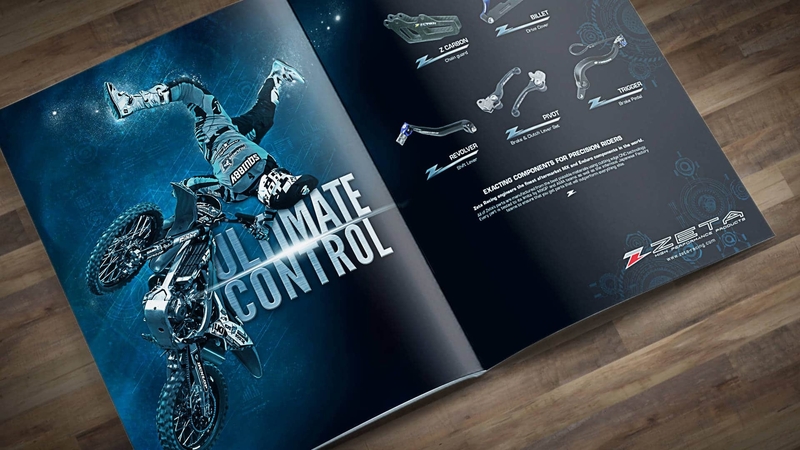 Made by riders, tested by riders, they produce high-performance parts and accessories for the MX racing industry. 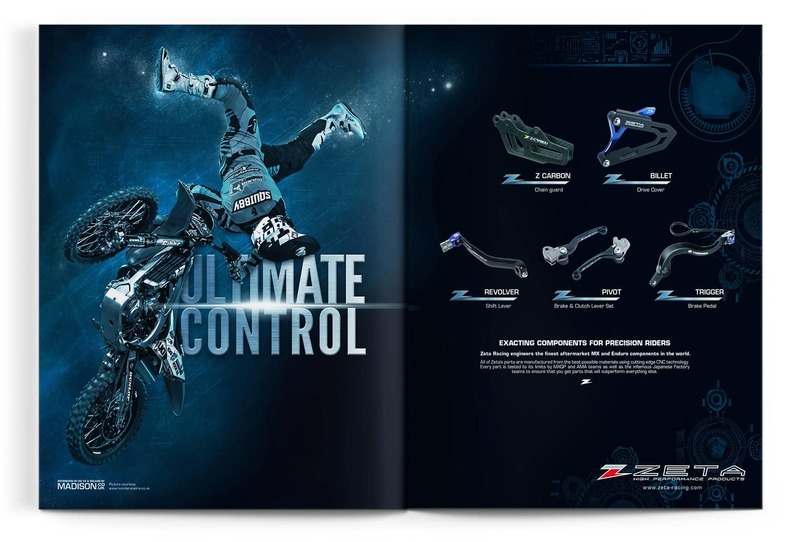 At the beginning of 2017, Zeta Racing was in the process to launch a series of new components, therefore Madison, as their UK distributor, had to curate the promotion within the UK market. 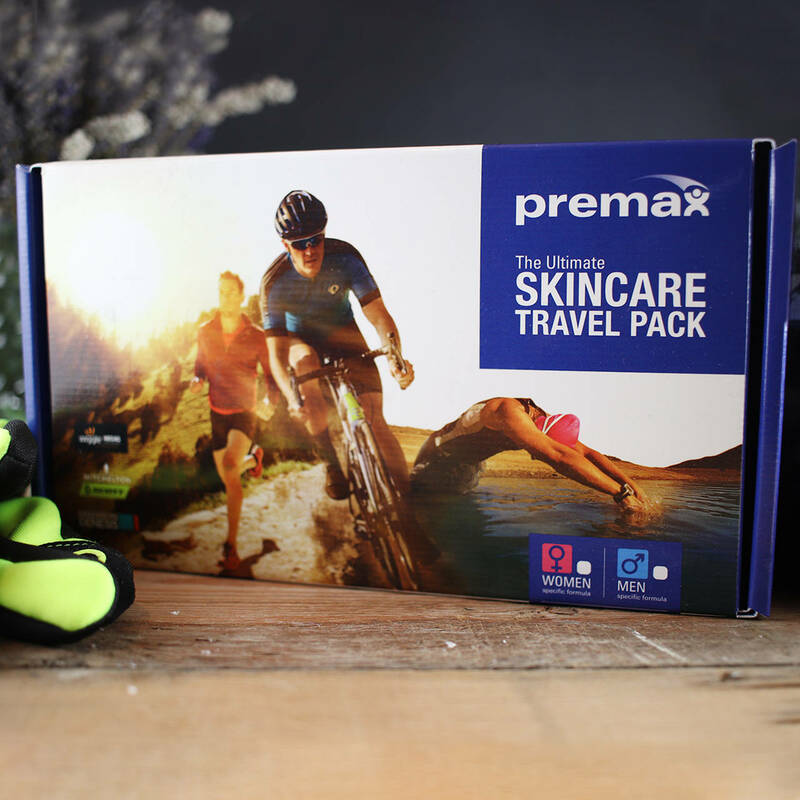 The goal was to reinforce brand awareness and driving sales. 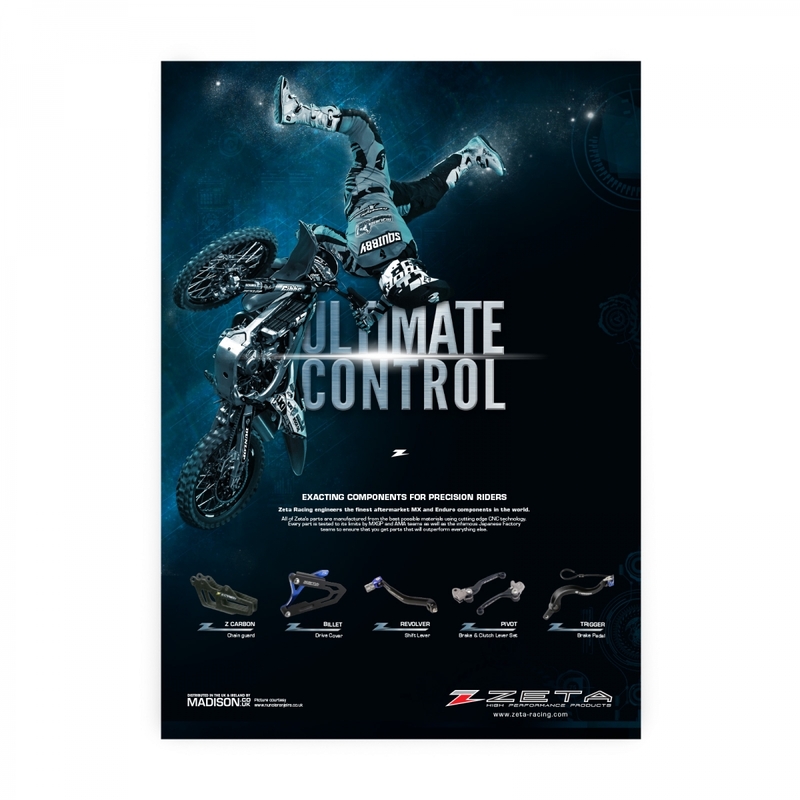 The solution was to create a campaign able to work across print and digital platforms to enhance how Zeta’s products are designed to help riders to better control their bike in high-performance situations. Zeta racing stands for quality, high-performance, and durability. 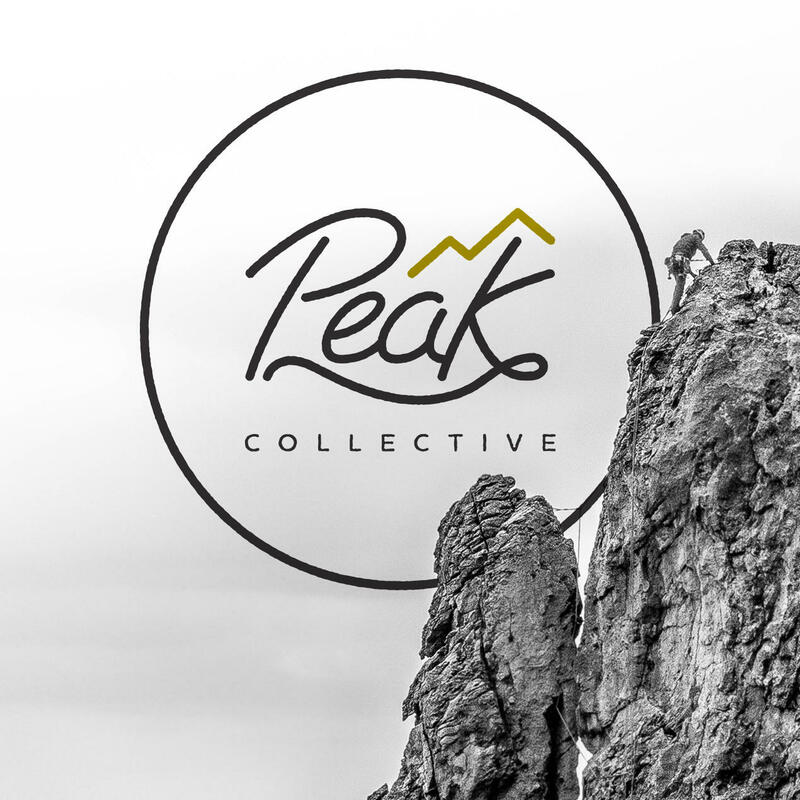 Therefore those were the key points to work with, to build both artwork and messaging. 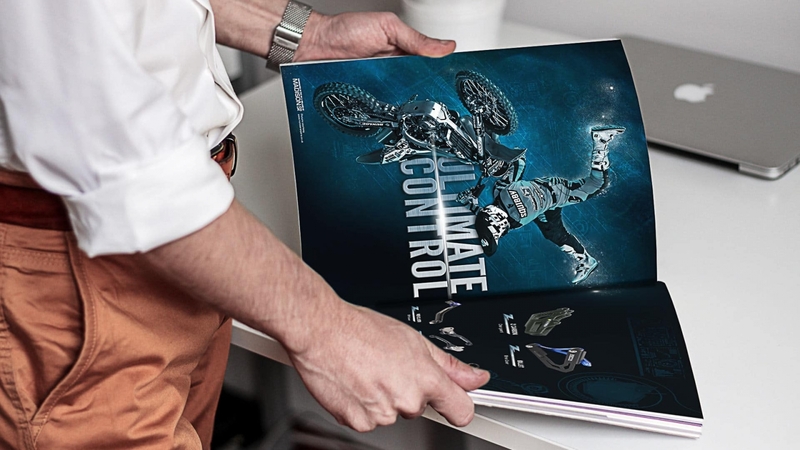 After some research, I found a good fit with the brand communication we planned to have in place some Nuno Laranjeira shots done during an FMX contest held here in the UK. 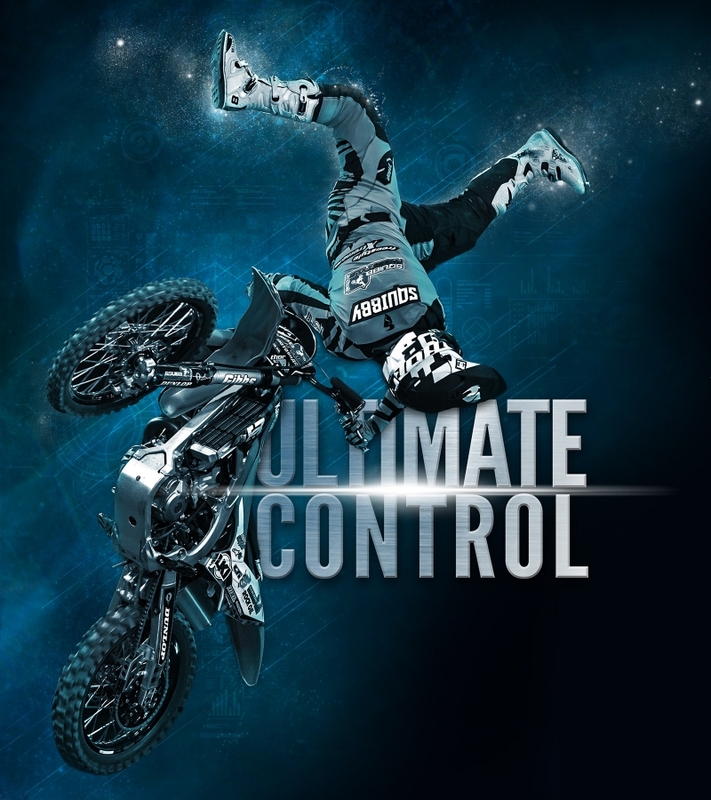 This sport is an excellent demonstration of stunning bike control skills. It perfectly suits Zeta’s core values and the emotional connection was easy to make. To enhance the concept into something visually more dramatic I created a sci-fi composite scene able to imply a sense of futuristic innovation. Zeta believes in quality products and top performances. 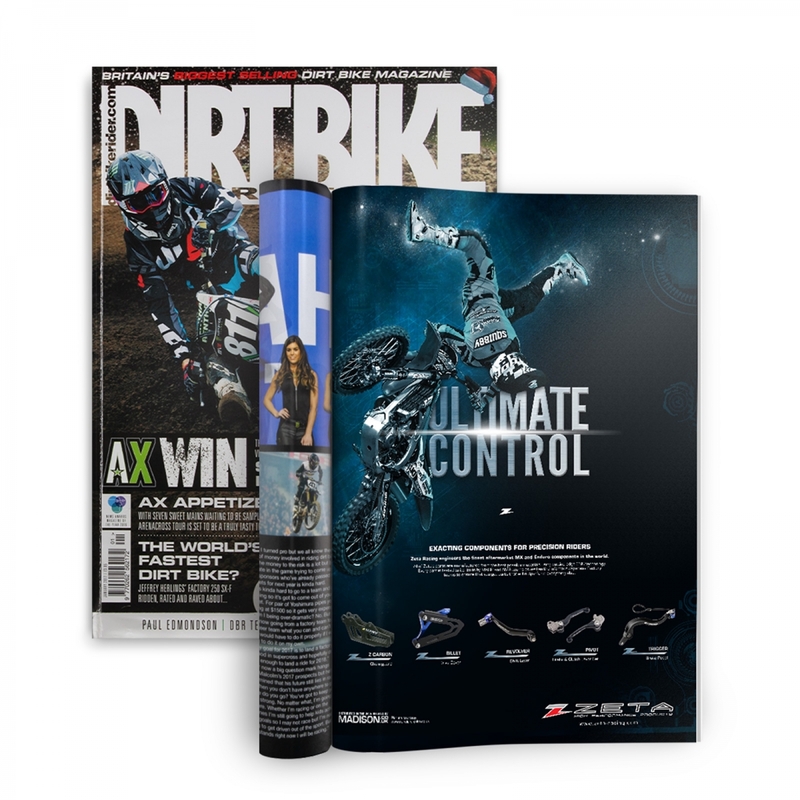 That’s why Zeta’s products are continuously tested by professional teams and top riders during development and then overused through competitions. That’s how Zeta is able to supply to the market what the teams and riders are really using to win. 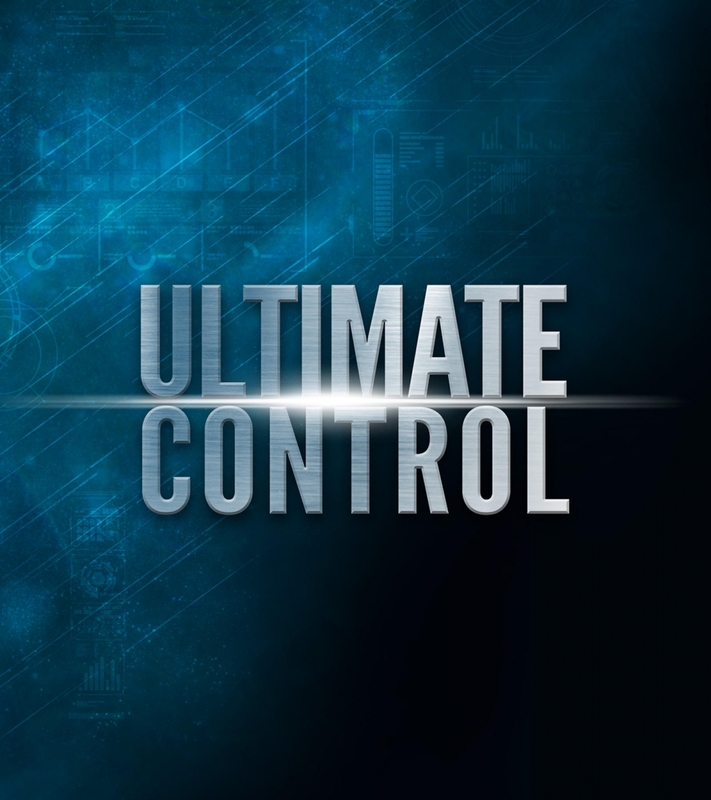 All of Zeta’s Parts are manufactured from the best possible materials using cutting edge CNC technology. Every part is tested to its limits by MXGP and AMA teams as wel as the infamous Japanese Factory Team to ensure that you get parts that wil outperform everything else. The translation for digital use required to think and see the space available in a different way. After some time spent exploring a new mockup system, I finally found a good balance between that strong rider/slogan composition I designed and the products despite the small space available. The translation for digital use was a real struggle for me in the beginning because I couldn’t find a solution to lock-up my elements as I did for the print version. The solution was to think and see the space available in a different way. After some time spent exploring a new mockup system, I finally found a good balance between that strong rider/slogan composition I made and the products to promote. Let's build something rad together.